My sweet nephew's 1st birthday is still a few more months away, but when I saw this cute little flash card I knew that I just had to create this little card to give to him. Just like the little baby pictured, he was born with a head of hair. As early as 7 months, Boston got his first haircut. I always love tucking a handmade card inside the gift given to someone that I love. When each handmade card that is received, I hope that they know just how special and loved that they are. 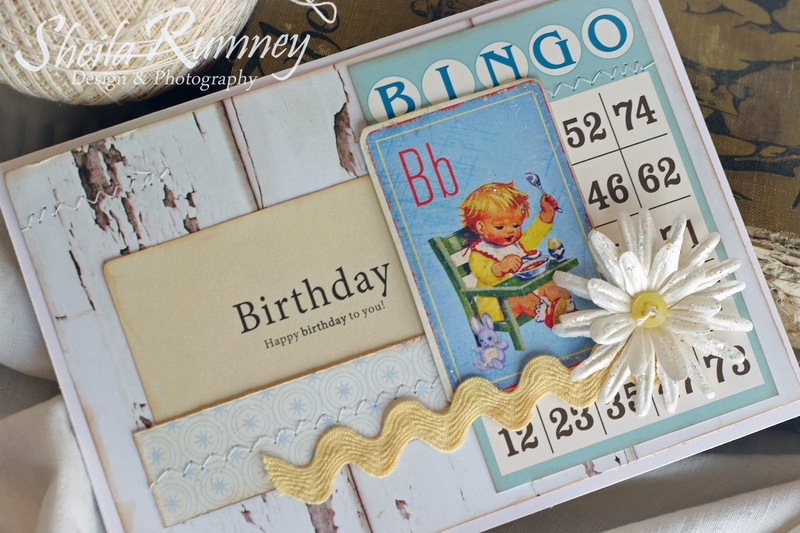 I made this card with beautiful Vintage Street Market products. Pop on over to the VSM Blog where you can find the ingredients for this card along with other great ideas. 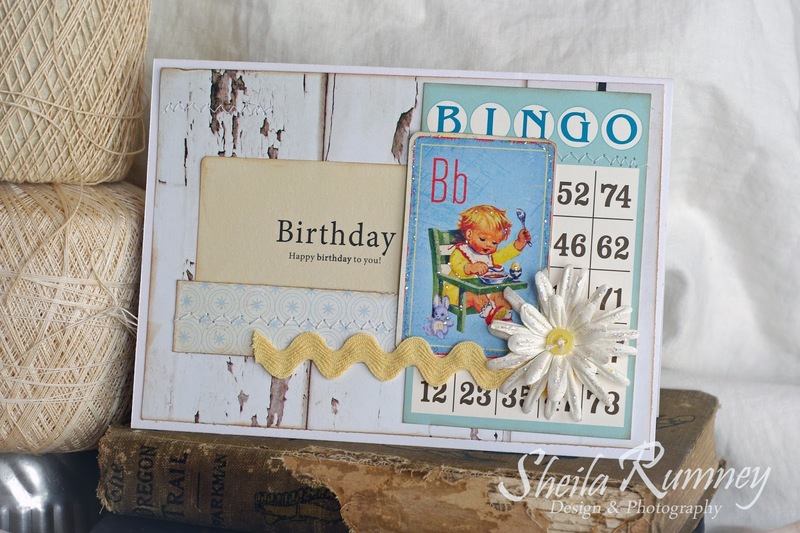 That is a great card, Sheila!